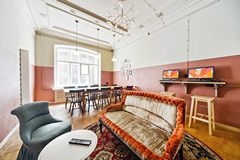 Our biggest hostel is located in a beautifully converted historic building just a short walk from the Moscow Station and city's main avenue, Nevsky Prospekt. 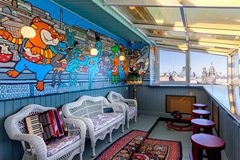 The hostel offers both private rooms and multi-bunk dorms with all possible comforts and facilities. 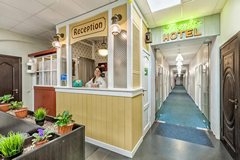 The dorms give incredible value for money and are the lowest priced beds at any of our hotels. 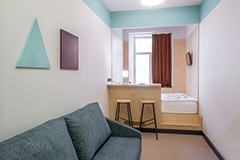 Friends Smart is a stylish and modern economy class hotel in the very center of St. Petersburg, located on Nevsky Prospect, near the Moscow Railway Station. It consists of 26 rooms spread over two floors. All rooms are separate, some of them have their own bathroom facilities. 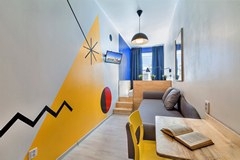 Welcome to Friends, a collective of hostels in St Petersburg, Russia’s dazzling cultural capital that offers you a totally new and social way to spend your time in St Petersburg. 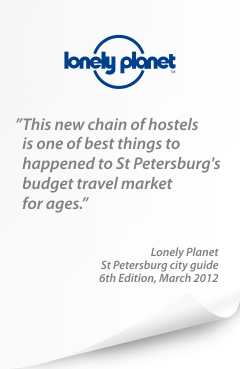 Friends is the biggest chain of youth hostels in St Petersburg and in Russia, but our real secret is our staff: experienced world travellers who, like you, are eager to meet people from all over the world and who understand the needs visitors to this wonderful city will have. 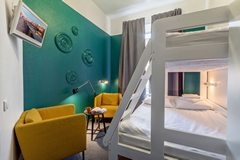 As our name suggests, Friends hostels are a place to meet and get to knowlike-minded travellers as well as local staff, a place to share experiences and, perhaps most importantly of all, a safe and comfortable sleeping option in a city that we know can seem a little challenging to first time visitors! 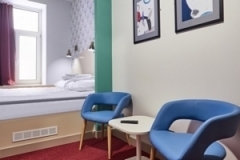 We like to think of our hostels as a cosy refuge from the outside world! 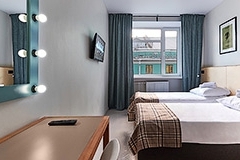 All our hostels are centrally located, just a short walk from Nevsky Prospekt, St Petersburg’s famous main avenue, meaning that you will always feel right in the middle of the action. When our first hostel in St Petersburg opened in 2006, hostels were still a fairly unknown quantity in Russia: we used our experiences travelling in Western Europe as a basis for what hostels in Russia needed to be; no longer just functional, cold places to stay for as little money as possible, but a really warm and friendly home from home for people who want to get as much as possible out of their visit to St Petersburg without having to spend too much money. 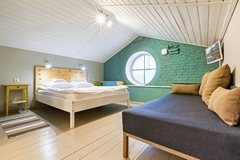 At the moment Friends hostels can only be found in St Petersburg, but there are plans to expand the network to other cities in Russia – watch this space! 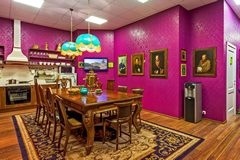 So if you’re looking for a unique and exciting way to discover St Petersburg, then look no further than Friends, a place for travellers run by travellers in the heart of Russia’s simmering cultural capital.